Jai alai is one of the oldest sports in the world. 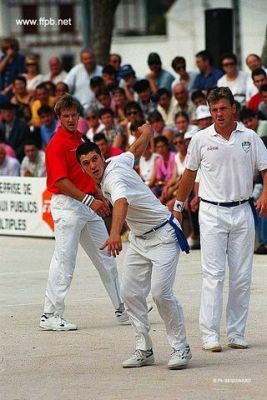 It has its origins in Spain, more precisely in the Basque coast where it is called the “pelote basque.” It is recognized as probably the fastest ball game in the world. Jai alai is a very popular Miami attraction not only for the spectacular show it offers but also for the fact that spectators can gamble on the outcome of every game. Nowadays, Jai alai is only played in the state of Florida and has been vanished from all other states in the country due to an increase in gambling. Florida will be affected by this if an action is not taken soon enough. If visiting Florida, try Miami Vacation Renals, for a nice and relaxing place to stay. The International Jai-Alai Players Association is taking action in order to prevent Jai-alai from extinction with a new campaign. The campaign’s main purpose is to build awareness about the actual situation that this sport is facing and to emphasize its history. The Hispanic community in South Florida is joining this campaign in order to prevent Jai-Alai from extinction. Please, call Miami Jai-Alai to get game schedules or visit the official Miami Jai-Alai website.